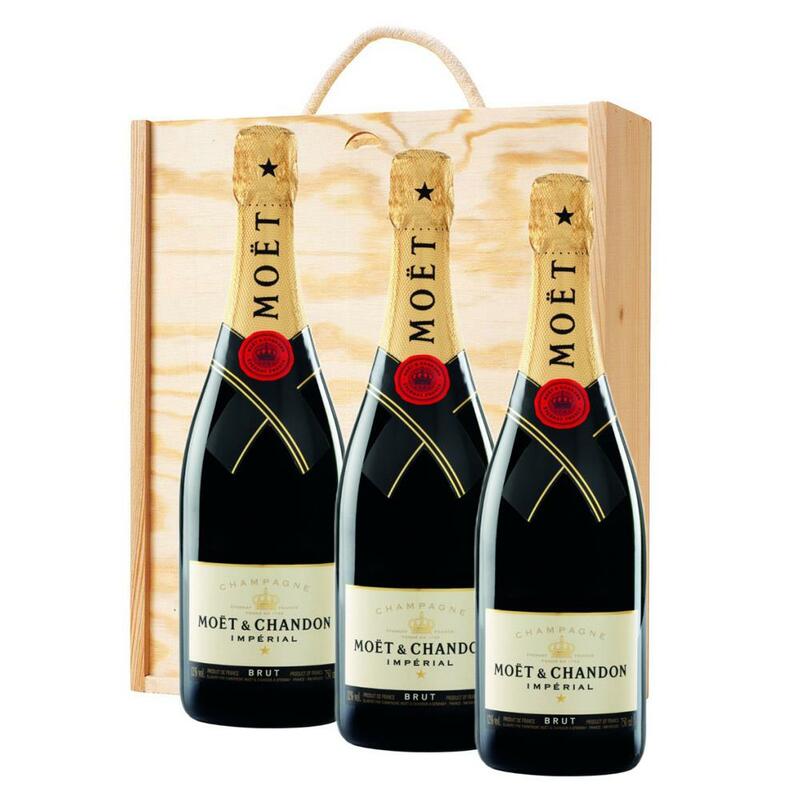 3 x Champagne 75cl bottles of Moet & Chandon Brut Imperial Champagne Bottle - In Moet Gift Box supplied in a wooden timber case lined with wood wool. 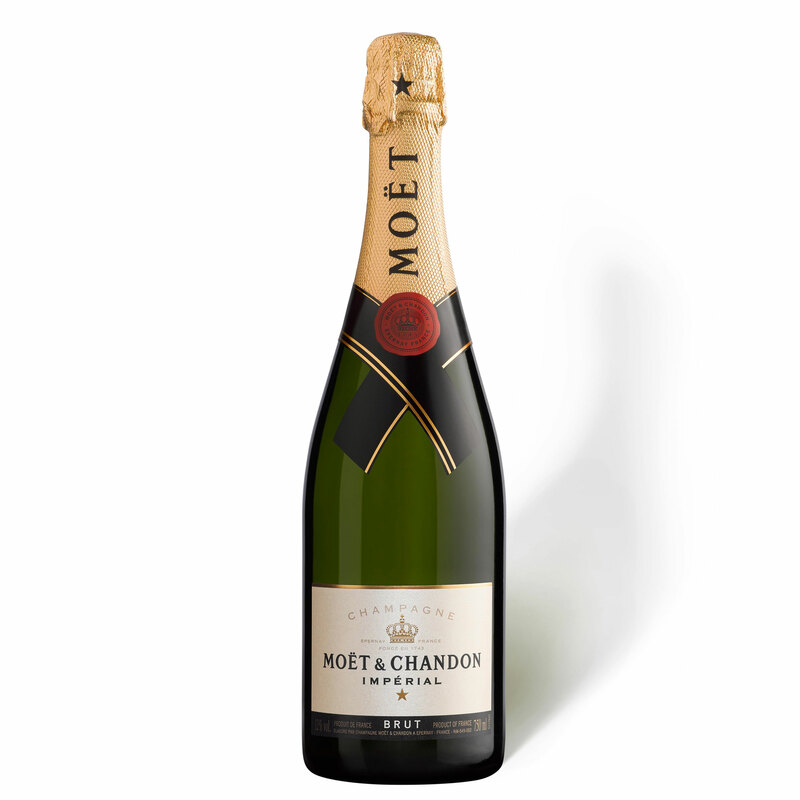 Moet and Chandon Imperial champagne is possibly the best selling non vintage champagne, composed of more than 100 different wines. Created in 1869 it has become and iconic celebratory drink and is distinguishable by its seductive fruitiness and elegance. The perfect balance of Pinot Noir, Chardonnay and Pinot Meunier gives this Brut Impérial Champagne a mature and fresh taste with hints of pear, citrus and brioche aromas. Each one of these grapes provides an essential and unique quality to the champagne.